Brainy Lantern’s slingShot is an excellent remote control tool for your DSLR. I use it on an Android, but they also make an IOS version for your iPad or iPhone. 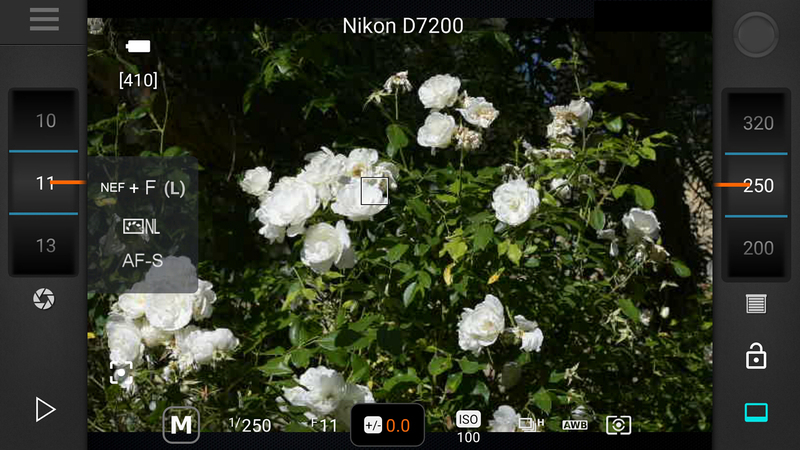 Both versions support WiFi cameras such as my D7200 and the Android version also supports connecting through a USB cable. You can control most shooting settings directly through the app. Use the “spinner” on the left to set the aperture, the one on the right for shutter speed. If the camera is set to aperture or shutter priority then only the appropriate spinner will be active. You can also set exposure compensation, ISO, white balance mode, focus mode, jpg/RAW settings, and more. 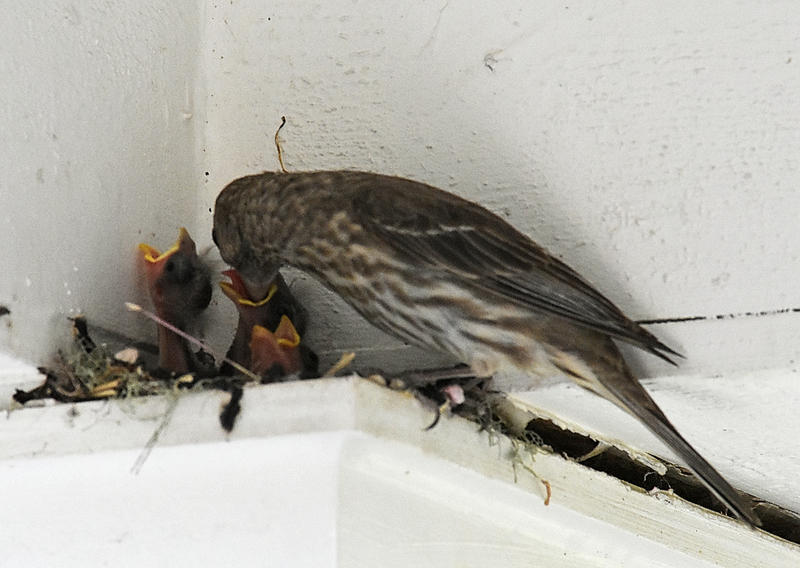 I tested it by photographing a nest that some finches built on my back patio. I set the camera up on a tripod and pointed a 400mm lens at the nest, and set the camera up to take five photos for each press of the app’s shutter button. Then I activated the app, went inside, and waited. The WiFi signal reached maybe 20 feet into the house reliably, plenty of distance so I could sit on my living room couch but not so much that I could get all the way into my computer room. Watching on slingShot’s screen, I’d hit the button to snap a series of photos when mama or papa bird arrived to feed the chicks. For the 2017 solar eclipse, I used slingShot to do most of the work. Setting the camera up to bracket five exposures per shutter release, I pointed it into the sky and waited. When the eclipse started I used slingShot to fire the first burst at my desired starting exposure. While the camera was firing off its first five exposures I adjusted the shutter speed in slingShot by five stops for the next set, and when the camera was done I just pressed slingShot’s shutter and set off the next round of five. I repeated that process for a full set of photos. The result was that I was able to get a full set of exposures, and still be relatively undistracted from enjoying the eclipse. A handy feature that I haven’t yet tried is the ability to take time-lapse photos. You set the app to start immediately or for after a set amount of time, the interval between frames, and to end after either a set number of frames or a time period. I used a similar feature on my old Canon S2-IS to record plant tropism (the ability of a plant to move) for a friend’s science project and it was a lot of fun. SlingShot is not freeware – the Android version is $9.99 and it’s $13.99 for Apple – but I think it’s definitely worth the price. You can learn more about it at http://brainylantern.com.